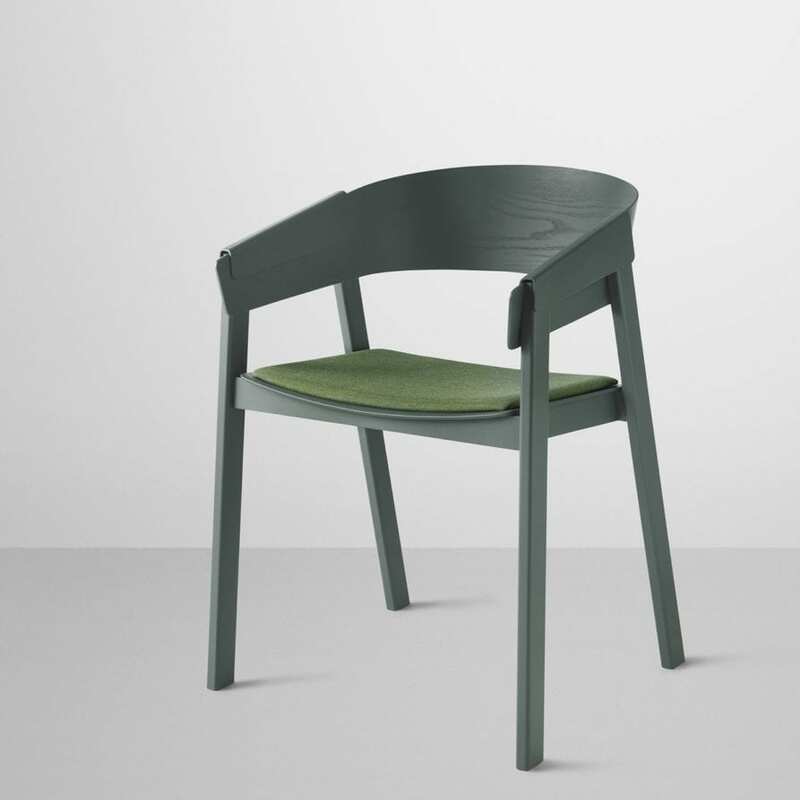 The chair is a modern reinterpretation of the classic wooden armchair. In a clever design choice, thin form pressed plywood covers are given the dual role of working as comfortable armrests, while at the same time ensuring that the chair holds together. 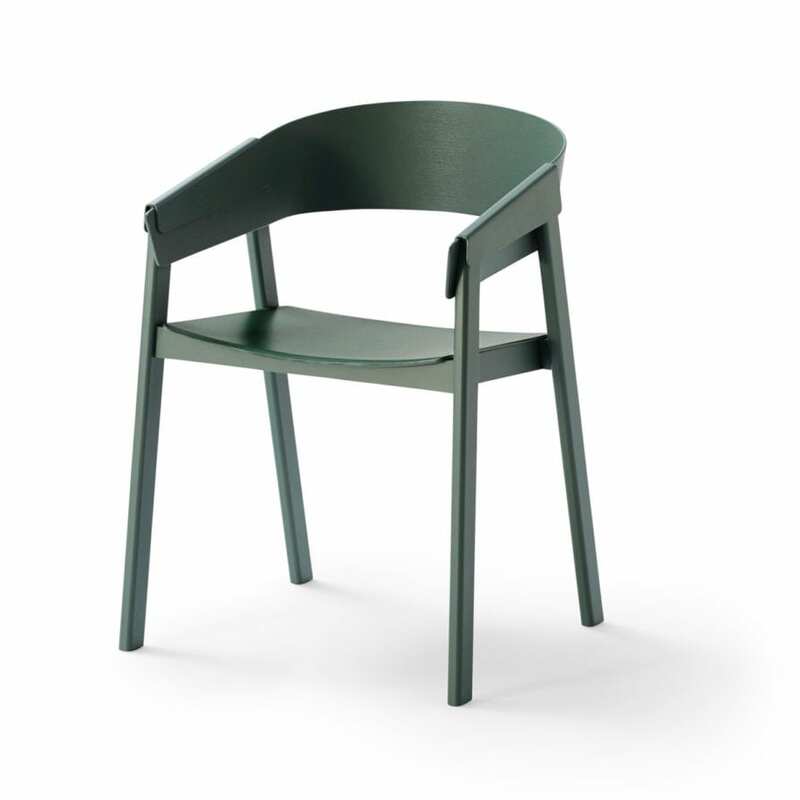 The Cover chair’s contemporary design gives it a strong personality and with a frame produced from solid beech wood it is extremely robust and hardwearing. The chair is also very versatile, at home at the dining table, as a desk chair, in a restaurant, hotel room, or any other public setting. Designed by Thomas Bentzen. PU lacquered oak. Form-pressed wood veneer shell. 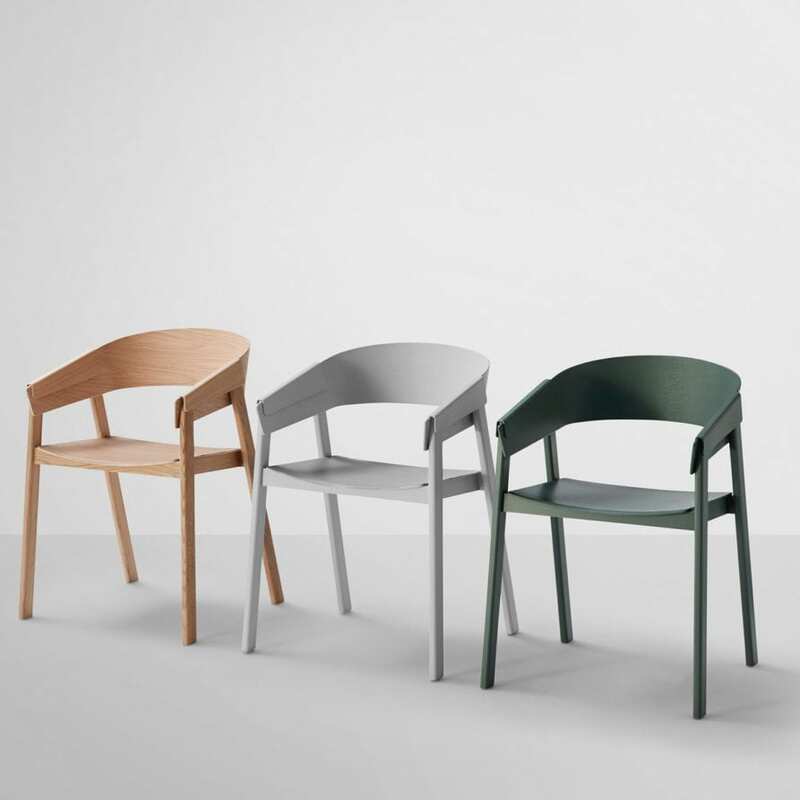 Coloured version: seat and shell is made from ash, while frame and legs are made of solid beech wood.